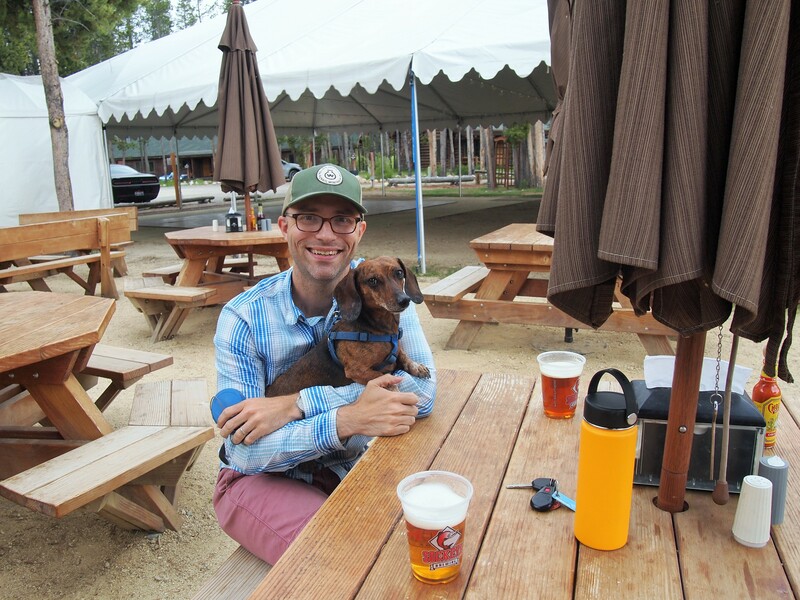 Two years ago, when we first moved to Utah, Zach and I took a trip to Ketchum, Idaho for the Sun Valley Brewfest. We drove along the Sawtooth Scenic Byway (Hwy. 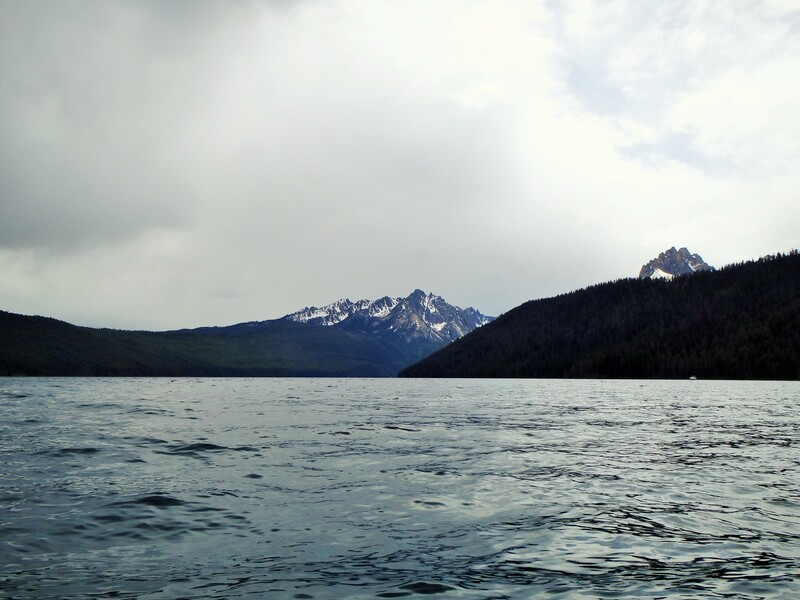 75) to the Sawtooth Range and Stanley. We were quickly enamored with the area. 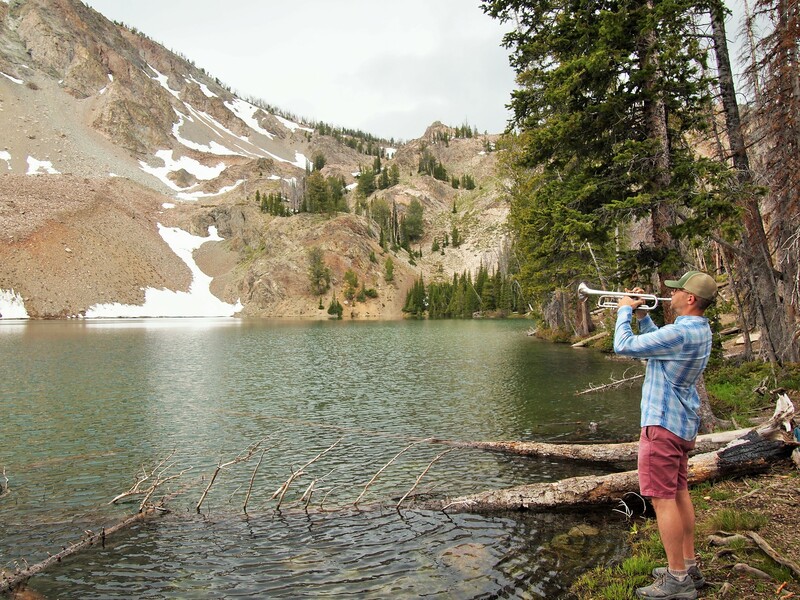 Last year we went back to camp outside of Stanley and hike in the Sawtooth Wilderness, and it’s become Zach’s mission to make an annual trip. 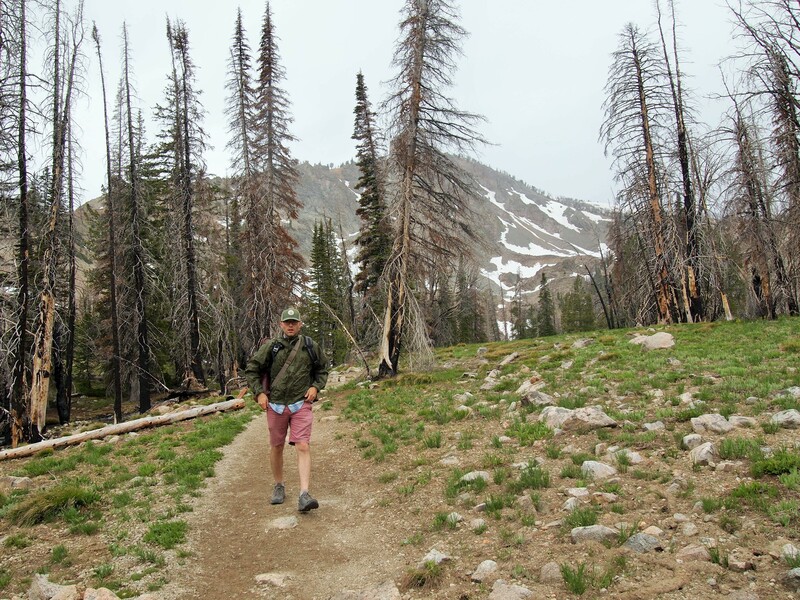 This year a large chunk of the prime summer hiking season is devoted to our Canadian Rockies road trip, so we decided to make the pilgrimage to the Sawtooths/Sun Valley a little earlier. Last weekend we journeyed up to the same campground we stayed at two years ago and went to the same brewfest, but this time we added some additional adventures to the mix. Last spring (2017), the Big Wood River flooded and the North Fork Campground was closed the entire summer. 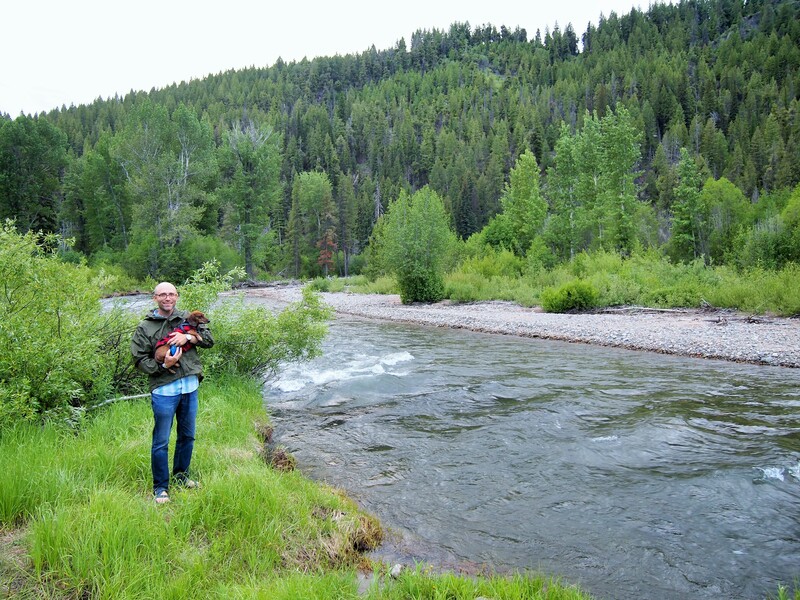 This year, we hoped to camp there, but weren’t certain how many sites, if any, would be open. 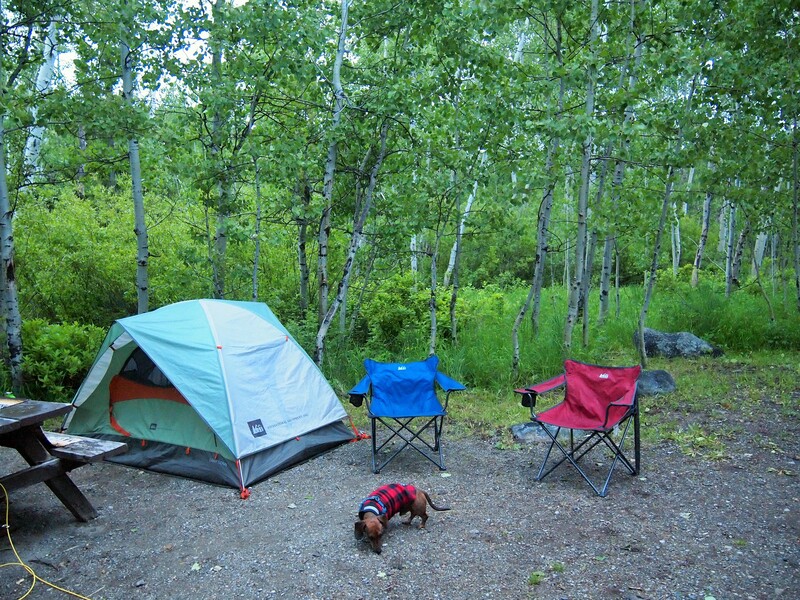 There are plenty of places to camp in the Sawtooth National Forest surrounding Ketchum, but we liked North Fork’s proximity to town since we planned on eating/drinking in town instead of cooking. Luckily, nine sites were open for use. The main loop of sites, where we camped two years ago, was still closed. Work was set to begin this week to clean up sites and the road. Our camp host encouraged us to take a walk through the loop to check it out because after a year, nature had already begun to take over. 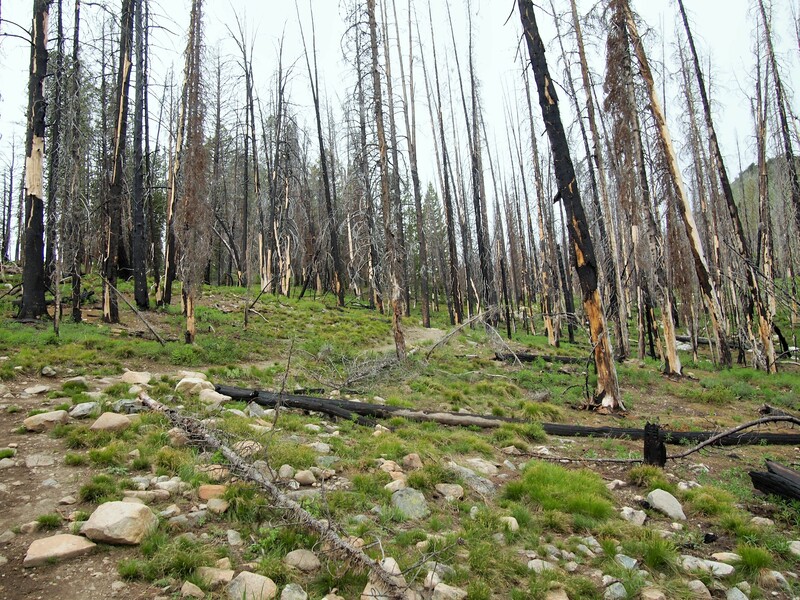 At the end of the loop, there were a lot of chewed trees – the work of beavers – and extra debris in general. 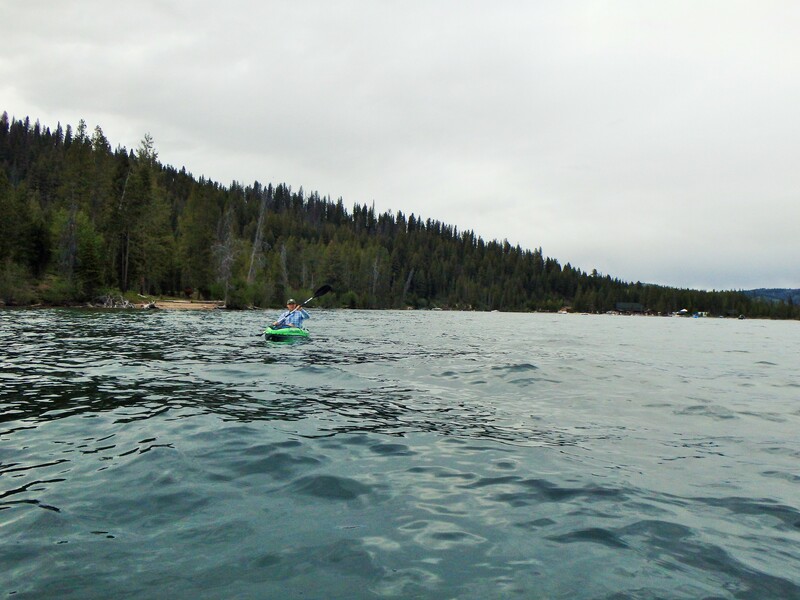 We arrived around 12:30pm on Friday afternoon, quickly set up our site, and then drove off to Redfish Lake. 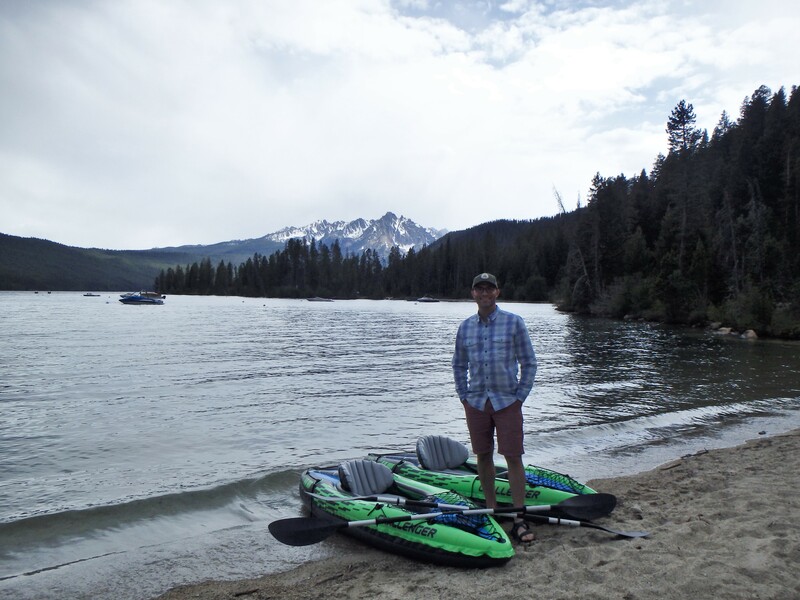 We recently bought two inflatable kayaks, and Zach wanted to take them out. The sky was mostly overcast, allowing some blue to peek through every now and then. 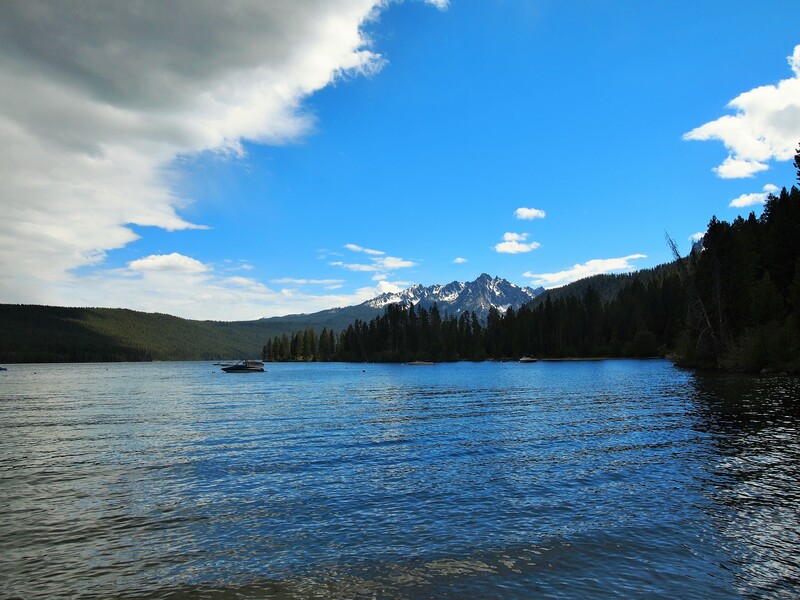 It’s still an unimaginably beautiful drive from Ketchum to Redfish Lake Lodge (near Stanley). I’m stunned each time we visit. We arrived at the lodge and decided to grab some lunch first at the Lakeside Grill, the lodge’s outdoor eatery. 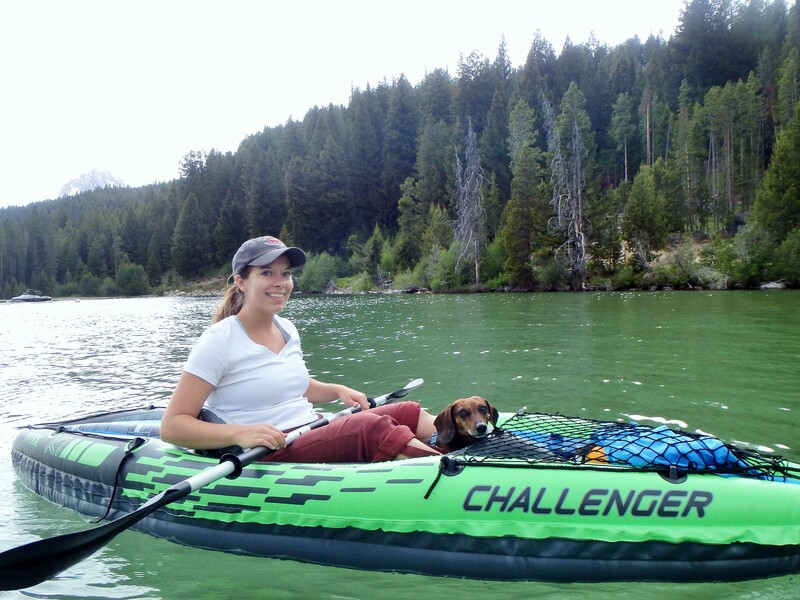 Then we pumped up the kayaks and got them out on the water. It remained cloudy and moody the entire time we were out on the lake. 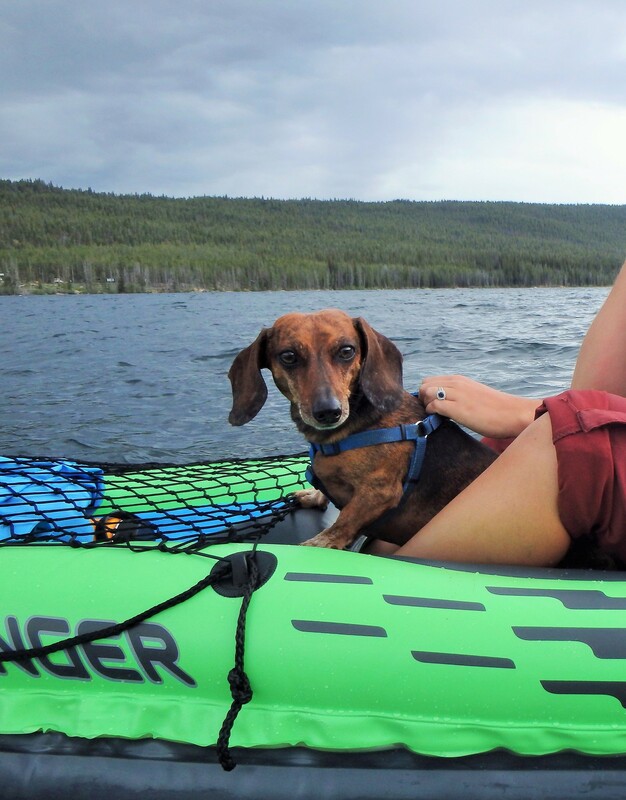 Truman hadn’t experience the kayaks in full yet, and he was a little apprehensive. He wanted to keep Zach within eyesight at all times, and he did try to jump ship at one point to get to Zach. We should probably invest in a life jacket for him. All in all, it was a pleasant, if slightly choppy, ride. Of course, as soon as we had deflated the kayaks and packed them up, the skies cleared. Go figure. I wanted to squeeze in a hike before the end of the day, so we left Redfish Lake and drove toward the Smoky Mountains closer to Ketchum. Unfortunately, the clear skies didn’t follow us. 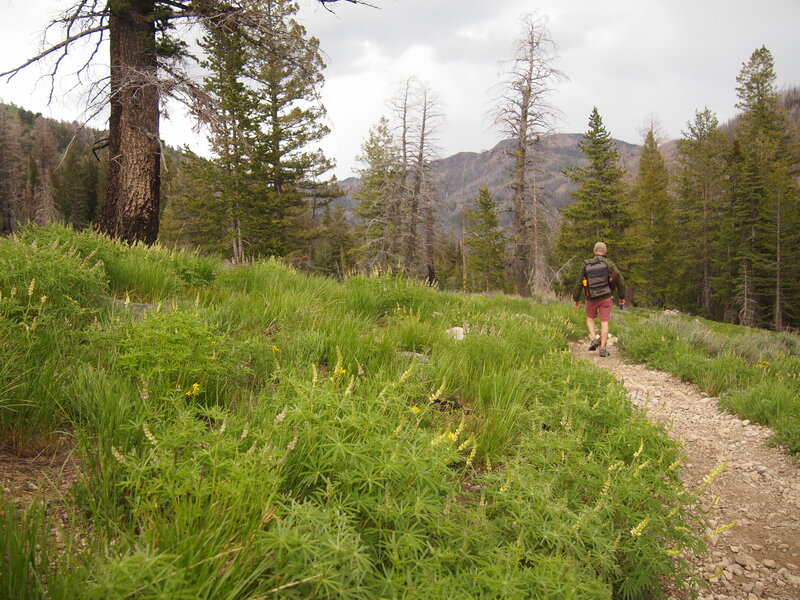 I had several trails picked out with the goal of seeing lupines in bloom. Early summer in Sun Valley is when they start to peak, and I hoped we weren’t too early/late. 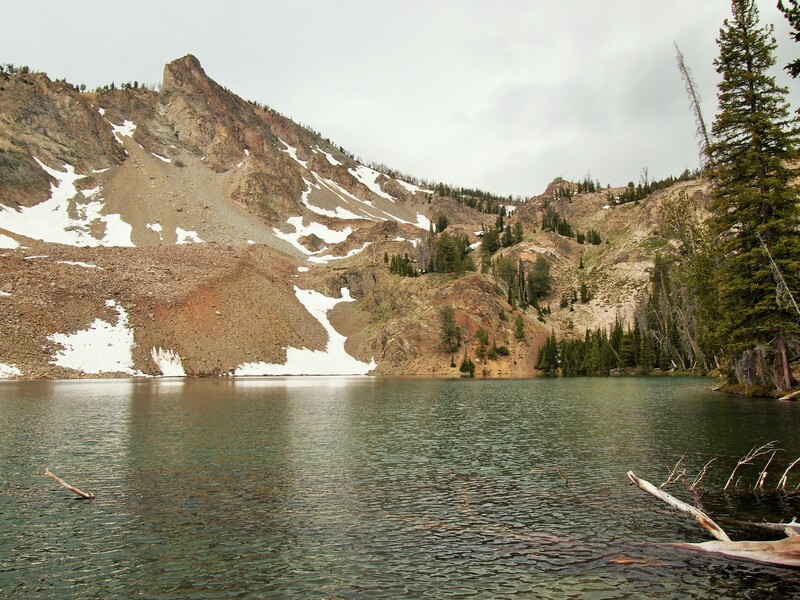 Baker Lake is one of the trails that’s supposed to have an abundance of lupines, plus it’s a short hike which leads to a pretty alpine lake. When we arrived at the trailhead, I was surprised we were the only ones there. It was 6:15pm when we started, but the trail was only 3.3 miles RT; we knew we had plenty of time to get up and back before dark. Sadly for me, it was too early for the lupines at that elevation. Some had started to partially bloom, but they weren’t quite ready yet. Otherwise, the trail was a really lovely one. 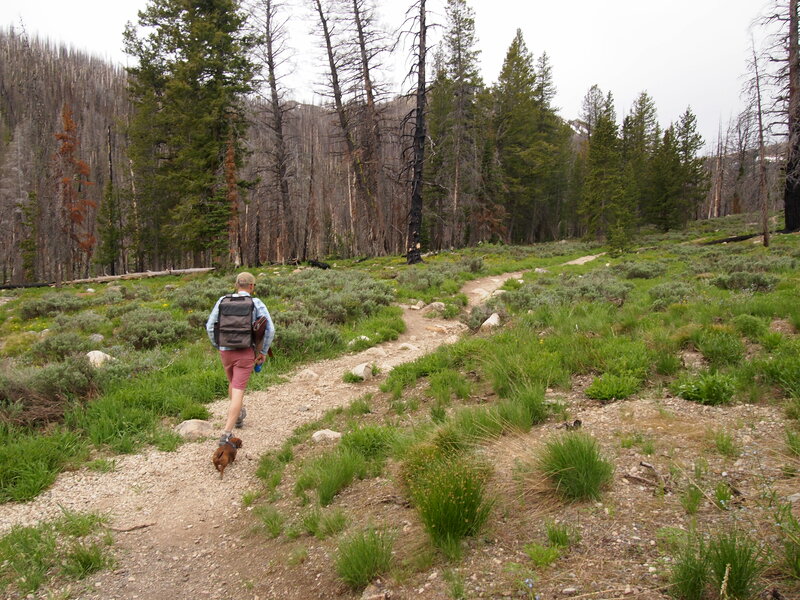 We crossed through pretty meadows with other wildflowers, through a few burn sections where we stayed aware of falling trees, and finally up to Baker Lake, a small but idyllic alpine lake. Zach brought his trumpet along since we were the only ones and played a few tunes for Tru and I. Then suddenly, small hail started pelting us. In seconds, it turned into an all-out hail storm. 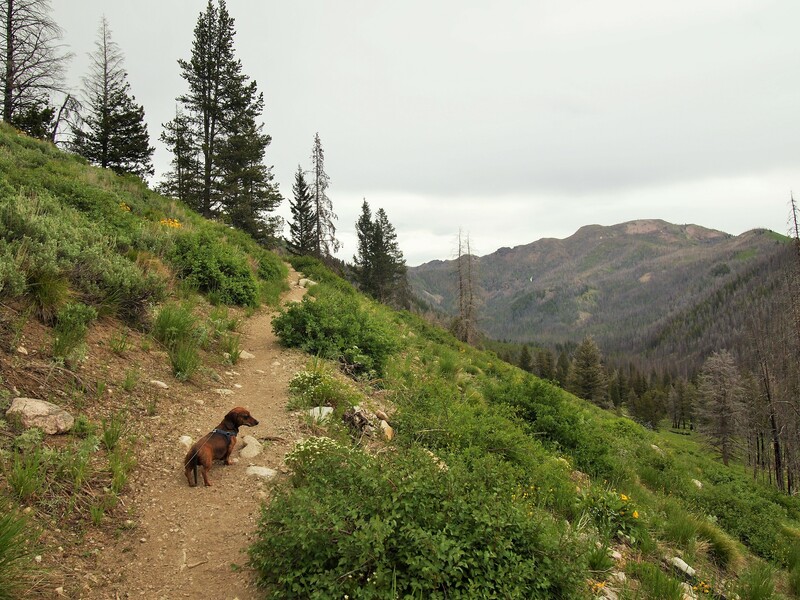 We started to hustle down the trail – Truman was practically sprinting – and then shortly it let up. The dark skies kept moving in, and we hoped we could make it to the car before anything else fell. 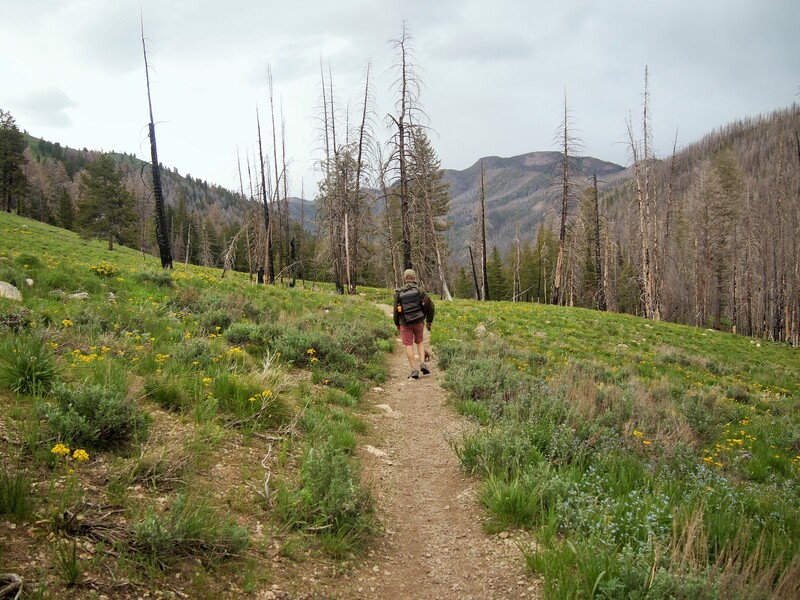 We were within sight of the trailhead when the clouds opened up and dumped rain on us. Not a light sprinkling, but a full-fledged downpour. 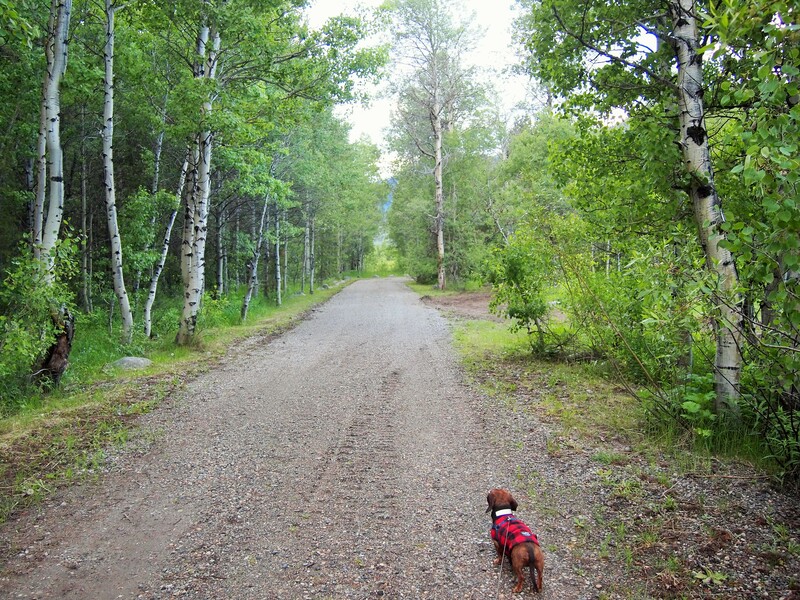 We ran to the car – again Tru was the fastest – and dried off as best we could before hopping in and heading back to our campsite. So maybe Zach has the ability to summon hail storms with his trumpet playing?